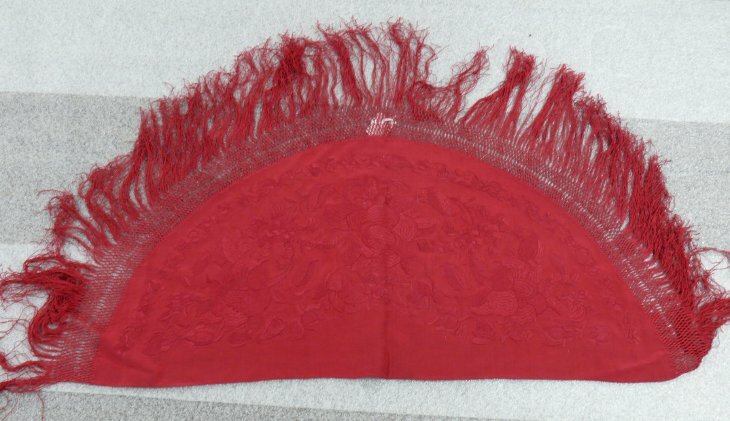 Shawl originally owned by Mrs. Robert Stevenson. Original museum documentation indicates two silk shawls were presented to Mrs. Stevenson by the Chinese whom she taught circa 1860-1870. Mrs. Stevenson taught Sunday School at Sardis Methodist. See Chilliwack Progress January 8, 1986 for article and photo.